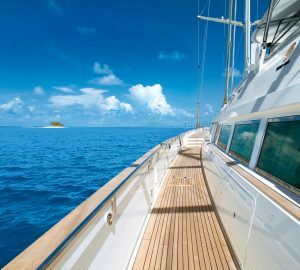 Different seasons in different parts of the world means you can charter a yacht all year long, whether you like motor yachts or sailing yachts, crewed boats or superyachts. At any time, if you are ready to go, there will be a wonderful yacht somewhere in the world to rent - where the season is just perfect for yachting. Also, if you want to save money and holiday without the crowds find out about shoulder or off seasons here. 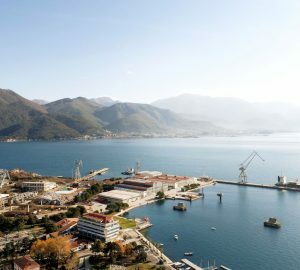 "Chartering a superyacht gives you the many opportunities to go anywhere in the world..."
The many and glorious coastal destinations around the world have their own seasons. In Europe and North America most yacht charters take place in summer and in the Caribbean it’s the winter time. Seasons determine the weather patterns as well as destinations for luxury yacht vacations. Whether it's the summer season in the Mediterranean or winter in the Caribbean for instance, luxurious yachts can be reserved up to a year in advance so you don't miss out on visiting international sailing locations. How about choosing northern Europe for a mega yacht holiday of a lifetime? Throughout the high summer months the UK, England, Scotland and Wales including the Scandinavian countries of Norway, Sweden and Finland offer breathtaking natural beauty, intriguing heritage along with adrenalin pumping adventure. The Baltic Sea, north of Germany, provides spectacular cruising grounds for some of the world's high end superyachts which offer an amazing sense of freedom for passengers on board. Expect to find beautifully decorated spacious cabins, first class facilities and a wide range of exciting activities. Asia is also an exotic destination to head for during the summer yacht charter season. 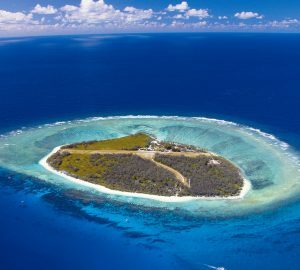 The countries of China, Hong Kong and Japan are increasing in popularity every year with superyacht charter holidaymakers from around the world. It's Asia's idyllic beaches, historical temples and amazing culture that keep visitors coming back for more. Try tasty authentic Asian cuisine and spices to tingle your taste buds like never before. Visit the Great Wall of China, the contemporary metropolis of Hong Kong and the Samurai villages of Japan on your summer yachts for charter vacation. After returning from ashore, passengers can expect endless entertainment and lots of fun onboard a superyacht charter. Enjoy a leisurely swim in a top deck pool, relax in the massaging jets on the water's edge Jacuzzi or watch a blockbuster movie in the open air cinema. 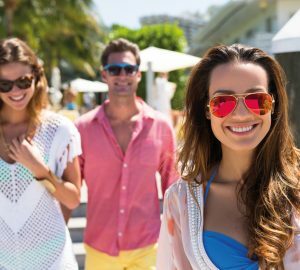 Your captain and crew will make sure you don't miss out on visiting the very best Asian summer hotspots. How about including Stingray City at Grand Cayman, one of the Caribbean's most exciting tourist attractions? It's the perfect family shore excursion riding out on a boat to a sandbar where stingrays live. Put on your snorkels and fins and get into the water, up close and personal with these inquisitive fish. Swim with the sea turtles in Barbados. These majestic creatures will glide past you within inches of your feet, what an experience! The ports of Philipsburg, St Maarten, Nassau and Old San Juan are the places to shop to enjoy authentic Caribbean cuisine. 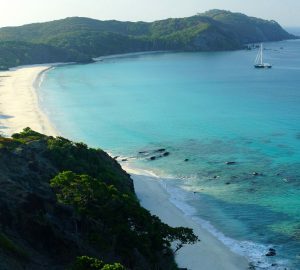 Australasia is perfect for superyachts charter in the winter months of November, December, January, February and March. 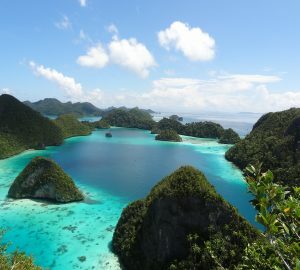 The skipper can charter the yacht to New Zealand, Western Samoa, New Caledonia or Papua New Guinea. There's no better way to spend Christmas than on Christmas Island. Imagine this festive season exploring coastal and sea caves or relaxing in one of the many fresh water springs like Hosnies Spring Ramsar. The climate here throughout November to March is around 88 degrees Fahrenheit, so much warmer than back home. Enjoy the spectacular views along the western coast from Martin Point, a viewing platform on the edge of the cliffs. After so much sea air, it's back to your superyacht where you can relax in the sky lounge having a cocktail or two with friends. Get away from it all and do something different this winter. 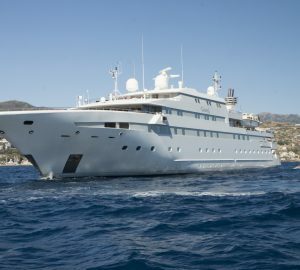 The South Pacific offers an exciting motor yacht charter experience with so much to see and do. Make sure French Polynesia, Tonga, Fiji, Vanuatu, New Zealand and Australia are on your radar. Diving in Vanuatu is an unforgettable experience, hiking in the Cook Islands is a wonderful way to explore while the hidden waters of Samoa is what dreams are made of. To get an idea of how the locals live in Fiji, drop anchor and spend a few days in a homestay in Namatakula Village. Once back on board your sailing yacht charter, share your South Pacific memories with family and friends. You're spoilt for choice when it comes to breathtaking destinations in the Indian Ocean. The Seychelles are very popular with honeymooners while the Maldives is fantastic for water sports. Sri Lanka is rich in history and culture as well as diverse marine life and beautiful national parks. To see multi coloured coral reefs, there's no better place than Mauritius. Combining a winter break to the Indian Ocean on board a state-of-the-art superyacht with a professional crew, will certainly be a vacation of a lifetime. 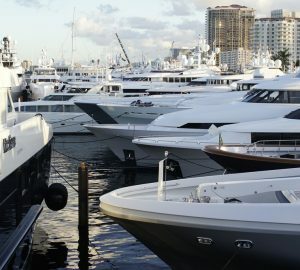 See this page for info on how to find the best yacht charter or contact a friendly and personal yacht charter broker here.